cdcindonesia.com - Indonesian morning enthusiasm, the following is information about job vacancies coming from one of the Indonesian hospitals, namely:Rumah Sakit Umum Daerah Tidar Kota Magelang - RSUD Tidar Kota Magelang or known as RSUD Tidar is a well-established state-owned general hospital in the Province of Central Java, based in Magelang Cty. RSUD Tidar is the Hospital Class B Non education based on Minister of Health Decree No 108 / Menkes / SK / II / 1995. 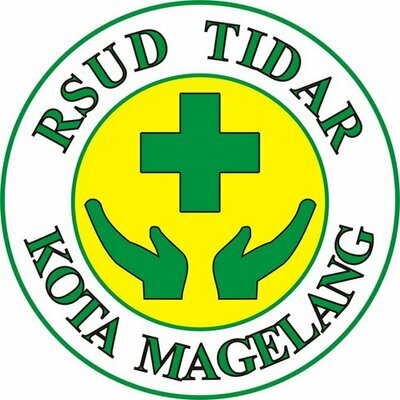 RSUD Tidar is registered at Jl Tidar No 30 A, Kemirirejo, Magelang Tengah, Kota Magelang 56122. In line with its continued expansion program, Rumah Sakit Umum Daerah Tidar Kota Magelang is pleased to announce the following vacancies for immediate recruitment. Possess Registration Certificate (STR) or Certificate of STR is in the process. Possess a Training certificate of ICU / PICU / NICU / Stroke Unit / Chemotherapy / CSSD / Internship Certificate for Chemotherapy Service / Internship Certificate for CSSD Services. Preferably possess a training certificate of Blood Transfusion / Hospital Blood Bank. Maximum age of 35 years old (born 1984 or later) excluded for Dokter Spesialis Bedah Digestif. Latest date 6 February 2019. Only qualified, short-listed applicants will be invited for furthers process.